When it comes to buying a pressure cooker, Fagor Splendid is among the top in the list. 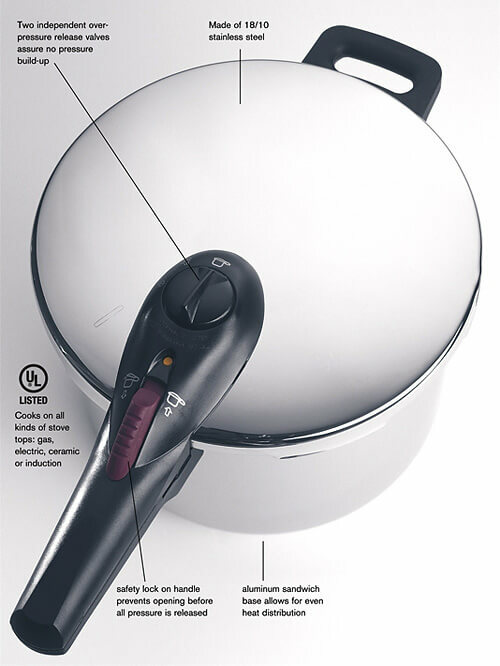 The pressure cooker comes with several features which make it an ideal choice. It is necessary to conserve energy in your daily life. The high energy efficiency construction of the pressure cooker ensures you consume less energy but cook the best food. The economic energy consumption ensures you save on utility bills. Green manufacturing ensures the environment is not exposed to harmful gases while manufacturing the pressure cooker. There is no water, air and soil pollution when making the award-winning pressure cooker. Leading pressure cooker brand: The pressure cooker has been on the market for more than 25 years. Over the years, the manufacturers have perfected their methods to ensure they produce the best pressure cooker. Many American homes have tested the pressure cooker and most of them are highly satisfied with the working of the system in their kitchens. Eco-friendly and energy saving cooking method: The pressure cooker is engineered to assure you the highest level of energy efficiency. If you are looking for a pressure cooker which can assure you the most energy-efficient cooking method, then you should think about having the pressure cooker. It cooks fast. You can reduce your cooking time for up to 70 percent upon buying the pressure cooker. Remember when you spend less time cooking, you save on energy consumption. Advanced safety features: When buying a pressure cooker, you should bear in mind the safety precautions employed. 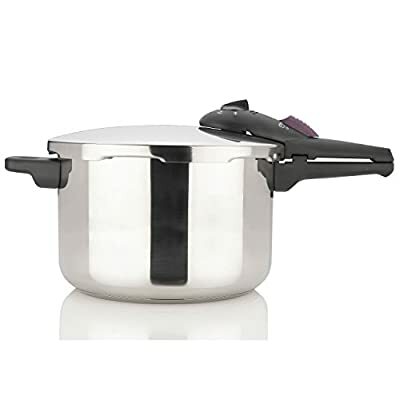 The design of Fagor Splendid pressure cooker ensures there is no excessive pressure buildup which can lead to accidents. Even if it is your first time buying a pressure cooker, you will not have to fear anything because the pressure cooker is specifically engineered to allow you to cook food safely. It employs the highest safety systems which have been tested in the United States and Europe. The triple safety mechanism employed in making the pressure cooker ensures you achieve the highest level of safety while applying the pressure cooker in your cooking. Works with all cooking surfaces: The stainless steel used to make the pressure cooker makes it ideal for you to use on all cooking surfaces. For example, you can apply it to cook on an induction surface, among other surfaces. The recipe book provided makes it easy for you to cook tasty foods on the pressure cooker. The health of your family members will improve greatly upon ordering the system. It is a system made with careful consideration of the health benefits your family members will enjoy cooking with the pressure cooker. Quality Construction: The construction of the pressure cooker ensures it serves you well. It is a system which you can buy and use for several years to come without any worry. When buying a pressure cooker, it is necessary to go for a system where you can be assured value for your money. The manufacturers of the pressure cooker took time to come up with a durable system which you can enjoy having in your home. Easy to Operate and Use: Upon reading the direction provided on the pack, you will easily get started. The pressure cooker has a simple design which makes it easy for you to use. Surfaces are made out of stainless steel hence they will not develop hard stains. When it comes to cleaning the pressure cooker, you will easily do so due to the careful construction which ensures you are not exposed to stubborn stains. Creates favorite dishes fast: There are some healthy dishes you will like to make but you are unable due to lack of a suitable pressure cooker and recipes. For you to start making the healthy dishes, you need the pressure cooker. It even comes with a recipe book where you can access several dishes for you to cook for your family members. It is among few items you can buy for you to improve the health of your family members through cooking for them healthy foods. 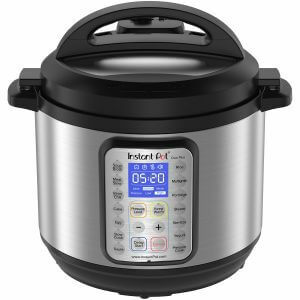 Available in multiple sizes: The manufacturers knew different people will require different sizes of pressure cookers, apart from the Fagor Splendid 6 quart pressure cooker; you can as well choose other sizes depending on your preferences.